If a random person with an official-looking business card approached you and asked for your Social Security card, driver’s license and other sensitive information, you probably wouldn’t give it to them. For one reason or another, however, people are more easily duped when it comes to online interactions. It’s far easier to trick users, which is why phishing attacks are so rampant. Phishing refers to the act of obtaining victims’ sensitive information by posing as trusted companies and organizations. It is usually carried out through spoofed emails and spoofed websites that urgently ask for various types of information. There are many potential consequences, and identity theft is among the very worst of them. Phishers with identity theft on their minds can do a whole lot of damage with seemingly small amounts of information. When you fill out a credit card application, for example, you typically need a handful of things: your Social Security number, your current address and your occupation, to name a few. Those types of things are easy to obtain once a cybercriminal has gained access to one of your online accounts. Before you know it, a bunch of credit cards with your name on them could be sent out into the wrong hands. It is vastly preferable to avoid becoming a victim of identity theft than to try to clean up the mess later. You will have to jump through a whole lot of hoops in order to prove to banks and creditors that your identity has been stolen. In the meantime, your credit rating will be shot and you won’t able to take out new loans or mortgages. You might even have trouble finding employment. If identity theft is often caused by phishing, it stands to reason that you should do your best to avoid falling prey to the many phishing attacks that take place every year. 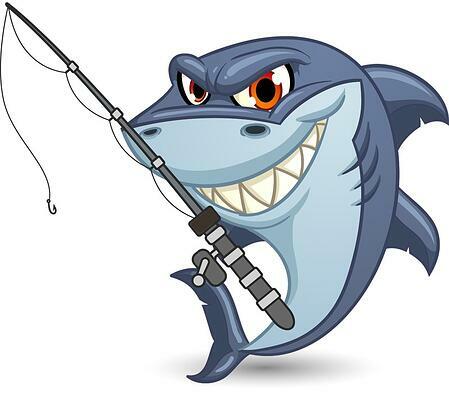 Educate yourself about the common signs of phishing. Learn how to identify spoofed emails and spoofed websites. Exercise extreme caution whenever you do any sort of business online. Guard your personal information as carefully as you can. Undoing the damage that can occur due to phishing and identity theft isn’t easy, and avoiding phishing in the first place is the best way to go.